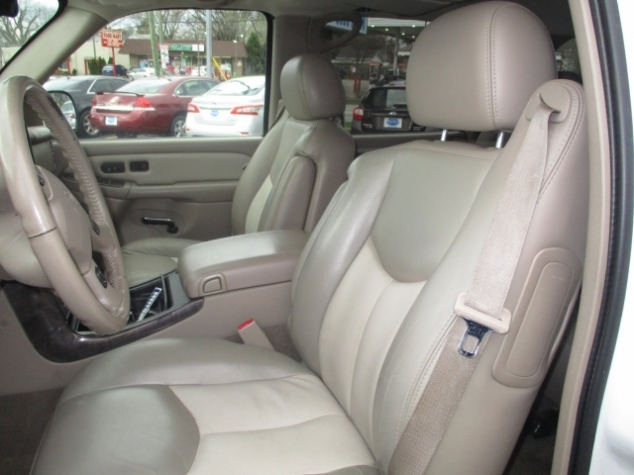 Bexleys Used GMC Yukon SUV For Sale | Bexley Motorcar Co.
For a good, reliable SUV, the place to be is Bexley. Here at Bexley Motorcar Company you can find a huge variety of used SUVs for sale, and the best SUVs under 15000! 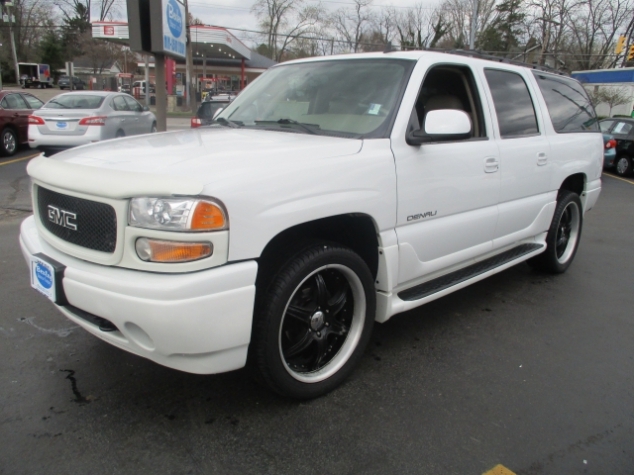 Like this GMC SUV, the 2006 GMC Yukon Denali for sale in Columbus Ohio, with a featured Vortec 6000 V8 SFI engine that gets up to 335 Horse Power at 5200 rpm, with a just as impressive 375 pound.-feet of torque at 4000 rpm, giving you more than enough power to haul along anything you want to take with you. Paired with all of this is a sweet 4-speed automatic heavy-duty, electronically controlled transmission with included OverDrive, helping this used SUV for sale achieve 12 City mpg 16 highway mpg. This used GMC SUV also features All-wheel drive that will plow right through any tough terrain and road hazards with ease! But there is even more to this fantastic GMC Yukon Denali For sale than just a fantastic mechanical system, as it also features much more things that you will love, like its powerful Air Suspension that will make even the roughest of roads seem completely smooth, or its Heated Seats that will keep you cozy and warm during cool nights and all throughout those long winter months. You will also love its Front Tow Hooks that will let you pull out anything that's buried in the ground or lost in a ditch, or its Traction Control that will make sure that your used GMC SUV always has a good grip on the road, and its Fog Lights that will help you peer through dense morning fog with ease. Come on in to Bexley motorcar Company, located at 2253 E. Livingston Ave. Columbus OH, 43209, to see this used SUV for sale for yourself!